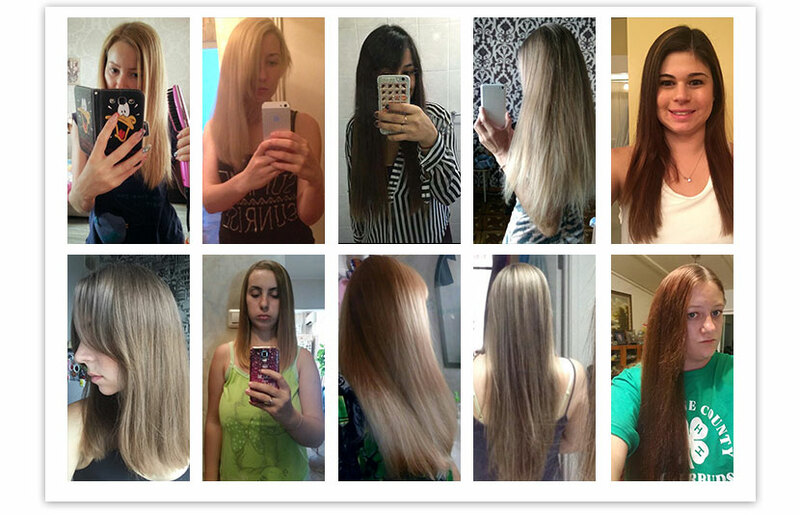 The straightener is the preferred everyday tool for straightening or curling hair. You are free to design your own hairstyle, straight or curly, either according to your mood or dressing style. Every day you can embrace a new self. 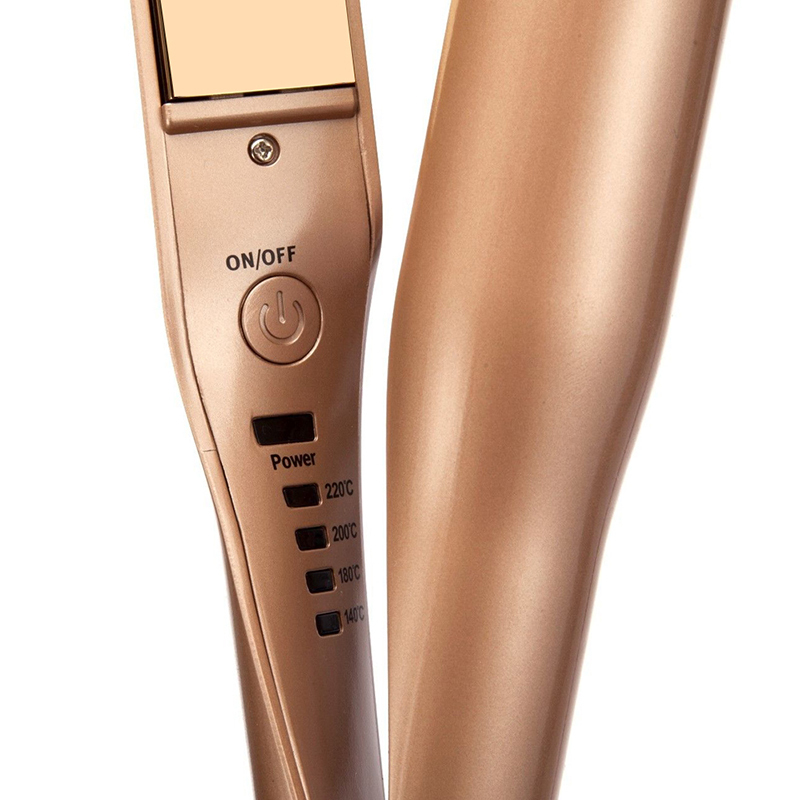 Combined with its ultra-fast heat up, this flat iron gives you a professional-quality style with a ceramic heater. Reach temperatures up to 420 degrees (F) in just seconds and you can style quickly and efficiently. It also features a uniform heat recovery feature that automatically restores the high, even heat in seconds. 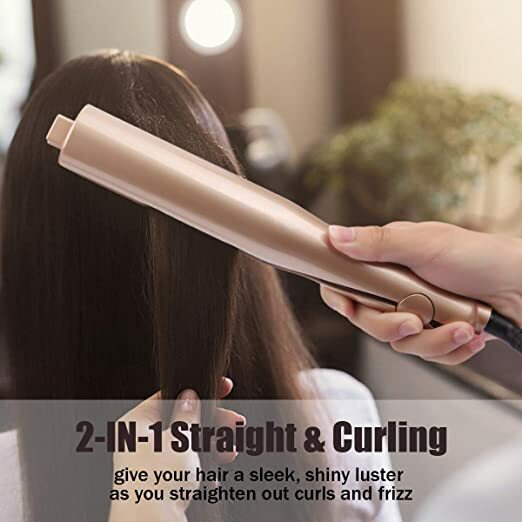 - No need bother buying two hair tools. 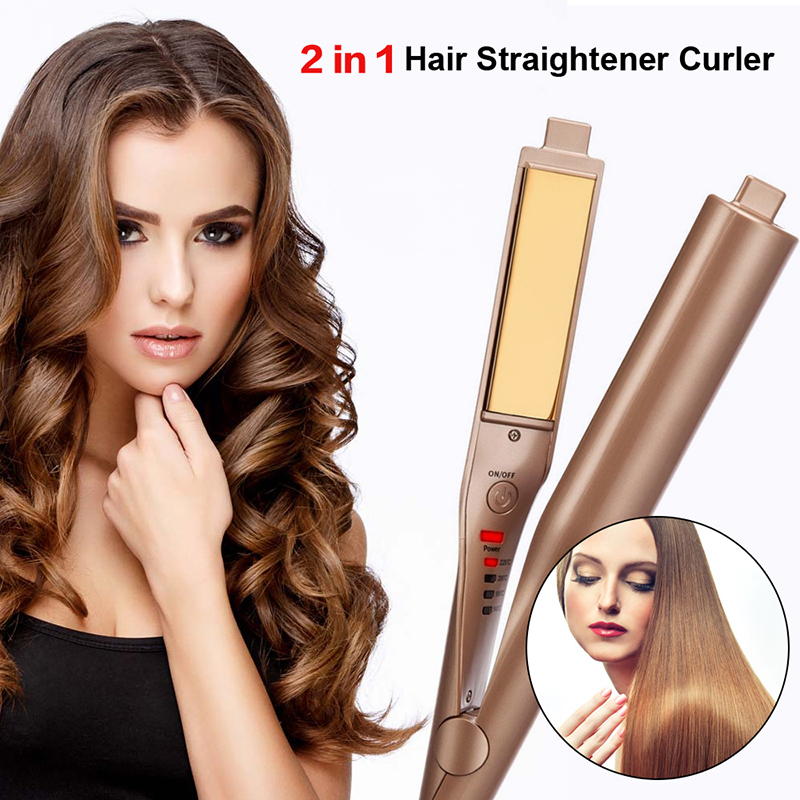 2-In-1 design, can function both as a straightener or a curler. - PTC heating model and titanium plate create a shinier, silkier finish in lesser time and eliminates frizz for longer time with less damage. 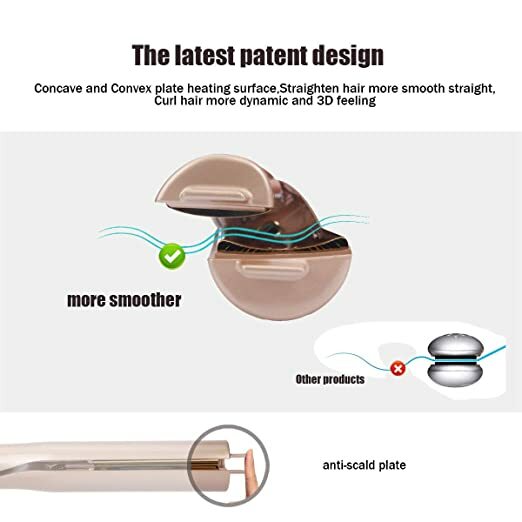 - 3cm/1in plate suitable even for short hair. - 4 temperature levels for different hair quality, suiting your different needs. - Auto shut-off if no operation in 60 minutes. - Easy to use, you are free to design your own hairstyle. Long press the key switch, short setting temperature, the lights begin flashing, wait until flashing stop, the temperature can be reached, you can start using. Professional quality, gold-plated titanium plates for optimal results. so you can take your beauty anywhere ! Create a beautiful head of curls in a matter of minutes you want , we’re talking 10 minutes or less! Even better, the curls should last 2-3 days! Digital temperature 284F to 450F with a rotating swivel cord for easy use.Unique button to control the temperatures exchange smoothly. Bring the guide side to your head at a 45 degree angle. (On the right side the iron will be facing up, the left it will be facing down) After the iron is where you want it, place the selected section of hair in between plates rotate slightly to see the guide side in the mirror, hold for count of 5 to 10 pull slowly down and away to create your curl or flat section. Repeat steps until complete.